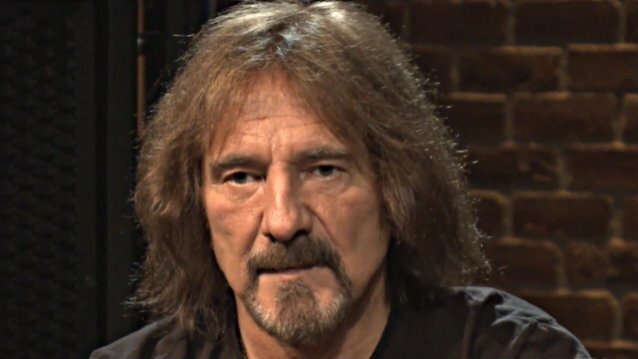 BLACK SABBATH bassist Geezer Butler has thanked fans for their support following Tuesday night's (January 27) altercation at the Corkscrew Saloon on the Furnace Creek Ranch in Death Valley, California which led to his arrest. The 65-year-old musician, who was booked at the Inyo County Jail under this full name of Terence Michael Butler, was charged with misdemeanor assault, public intoxication and vandalism and has since been released "after detox and citation," the Inyo County Sheriff's Department said in a press release. A deputy on the scene determined that there had been "an argument that escalated into a physical confrontation — resulting in an individual being struck, and a broken window," according to the Sheriff's Department statement. On Thursday, Butler addressed his arrest with a pair of tweets, writing: "Thx for your messages & support following the unfortunate altercation that occurred." A founding member of SABBATH, Butler is also the lyricist of such SABBATH classics as "War Pigs", "Paranoid", "Iron Man" and many others. Butler, SABBATH singer Ozzy Osbourne and guitarist Tony Iommi reunited in 2011 and released their first album together in 35 years, "13", in June 2013. SABBATH will issue one final studio CD and tour behind it in 2015.